This comical yet classy stemless glass is part of the Gold Edition range, brought to you by the Leonardo Collection. 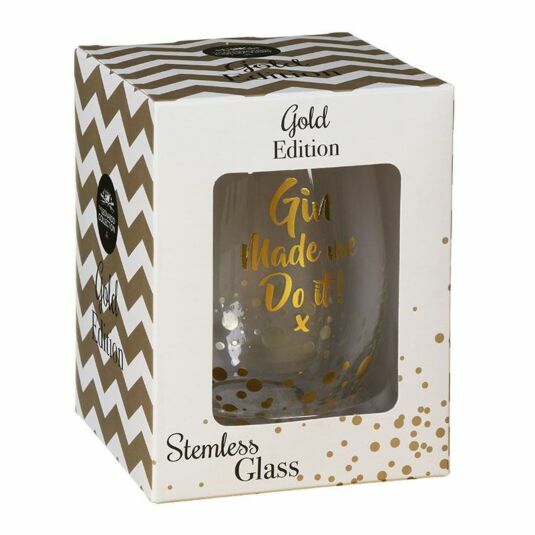 No one ever needs an excuse to enjoy a cheeky glass of gin and tonic so why not treat someone you know with this glitzy glass with a spot of good humour! 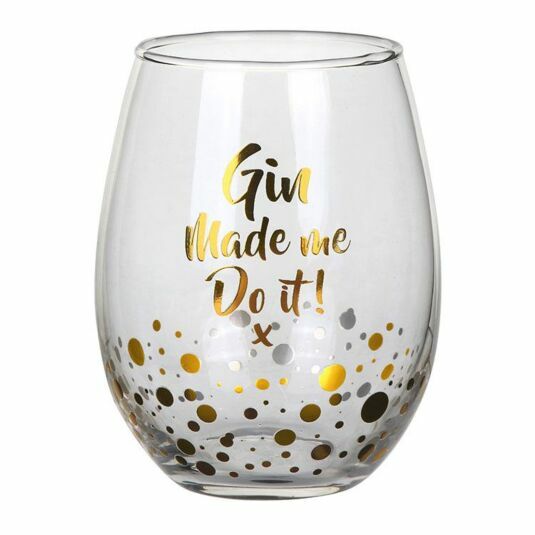 The glamourous design features shimmering gold dots at the base with the humorous words ‘Gin Made me Do it!’ across the front in a stylish gold ribbon font. With a sleek curved form that widens in the middle, the glass can hold 500ml of liquid. Great for any occasion, this glass comes presented in a stylish box, making it the perfect gift for any gin lovers you may know, such as your wife, husband, or parents. Great for any occasion, this glass comes presented in a stylish box, making it the perfect gift for any gin lovers you may know, such as your wife, husband, or parents. A great idea for mother’s day, Christmas, and birthdays!